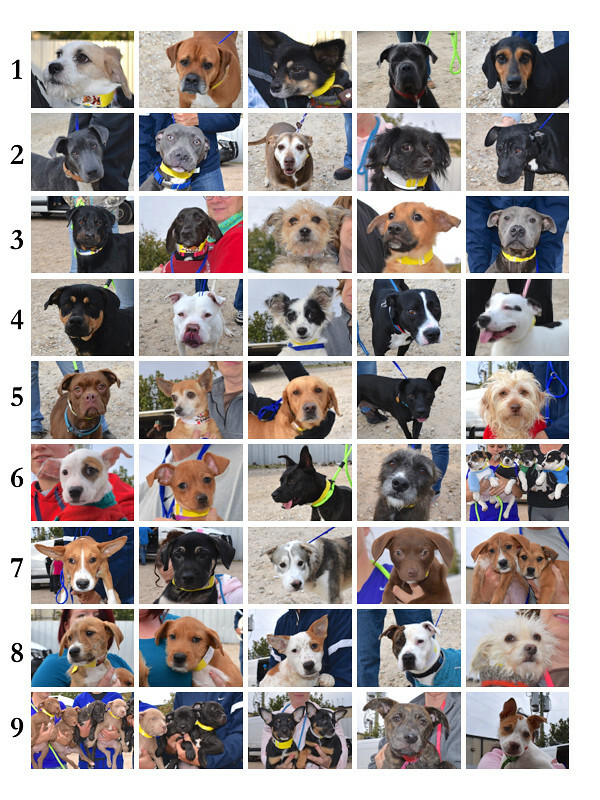 It’s been such a busy few months that your volunteer photographer can’t keep up with all the dogs and cats (and don’t forget the pigs!) 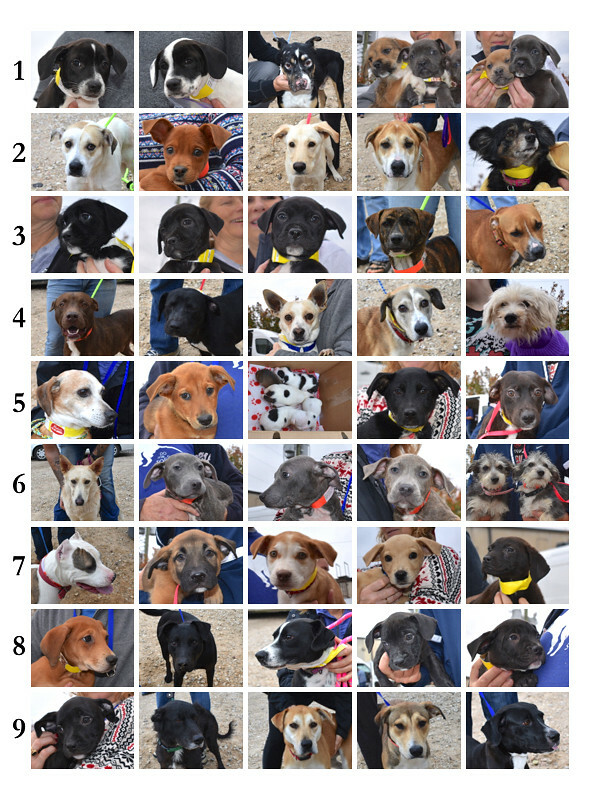 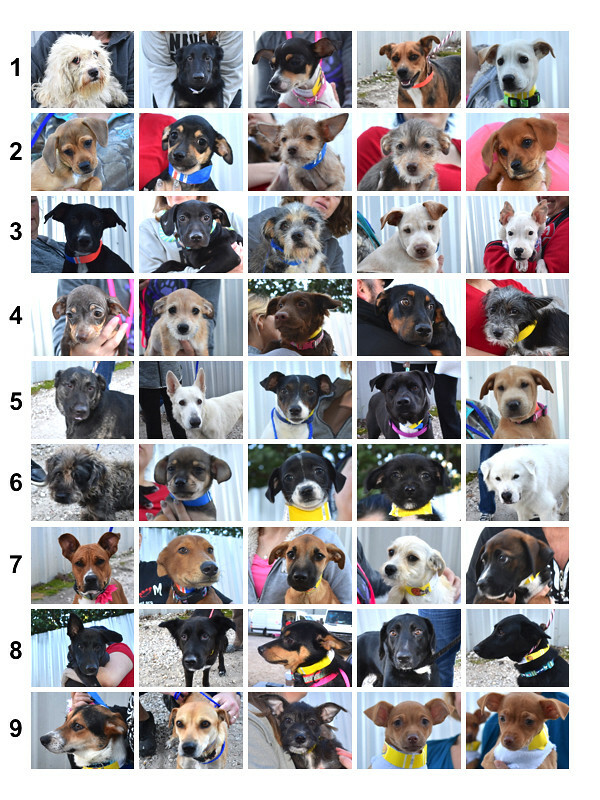 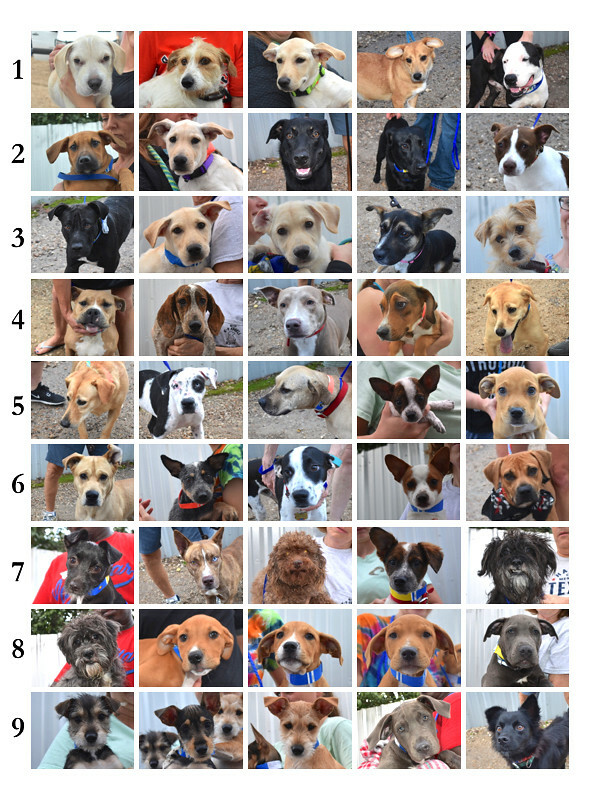 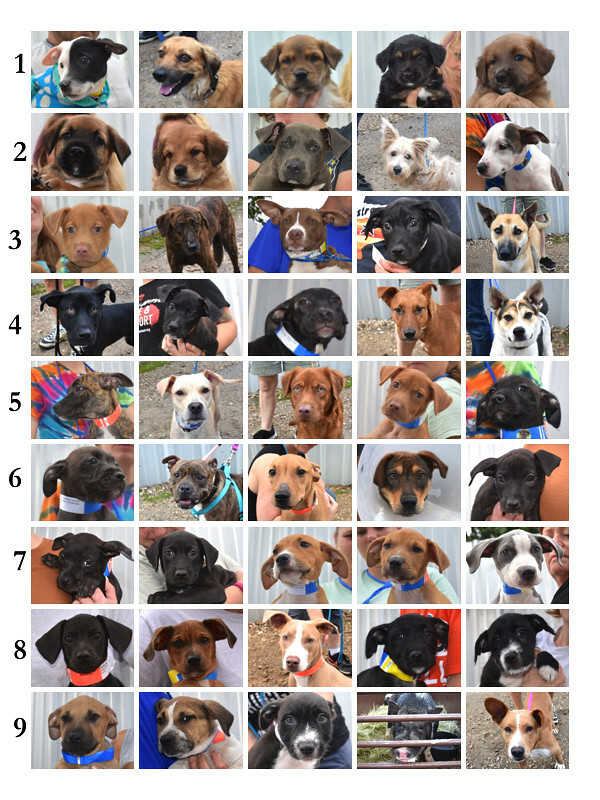 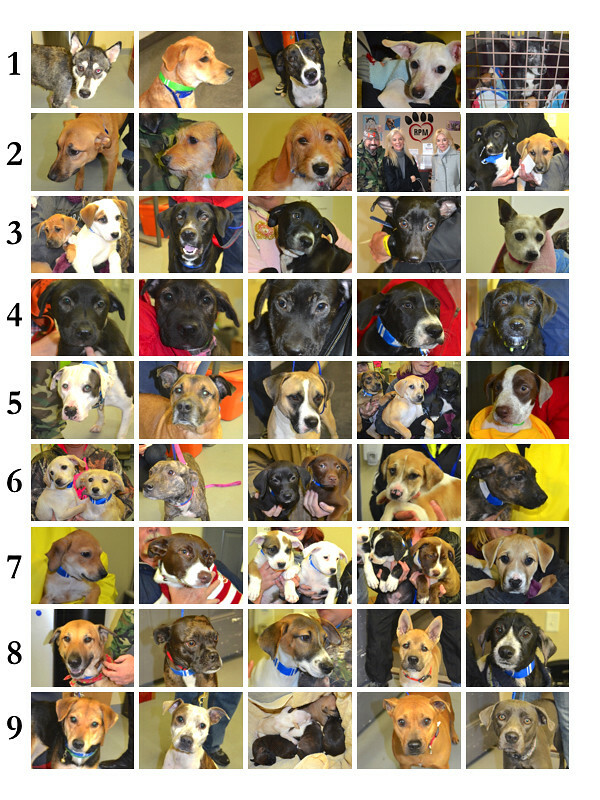 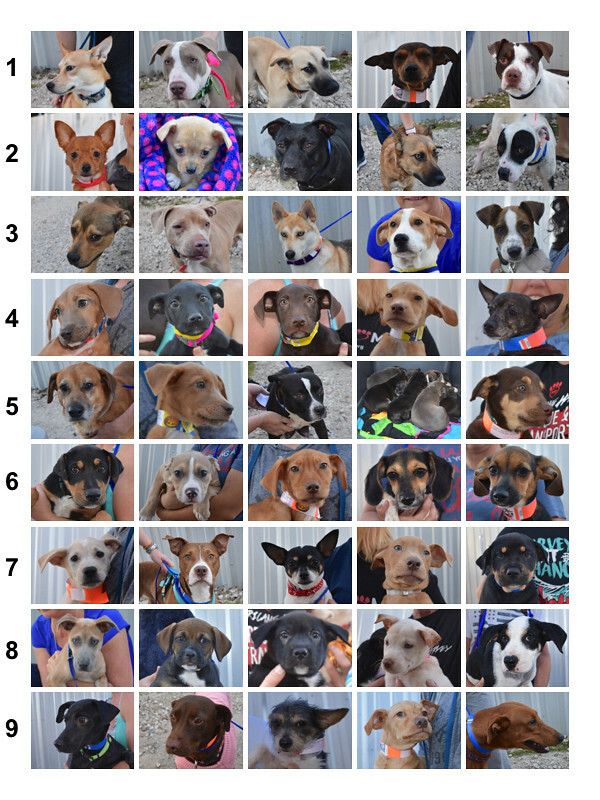 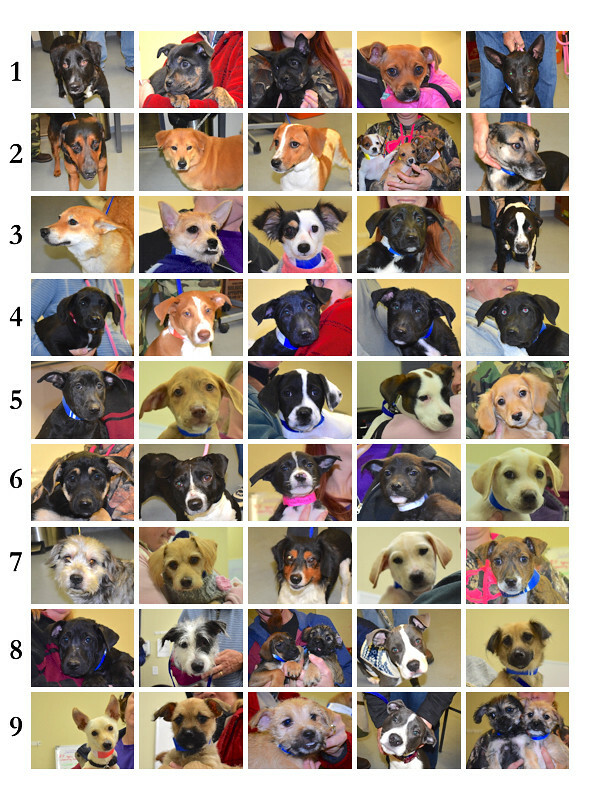 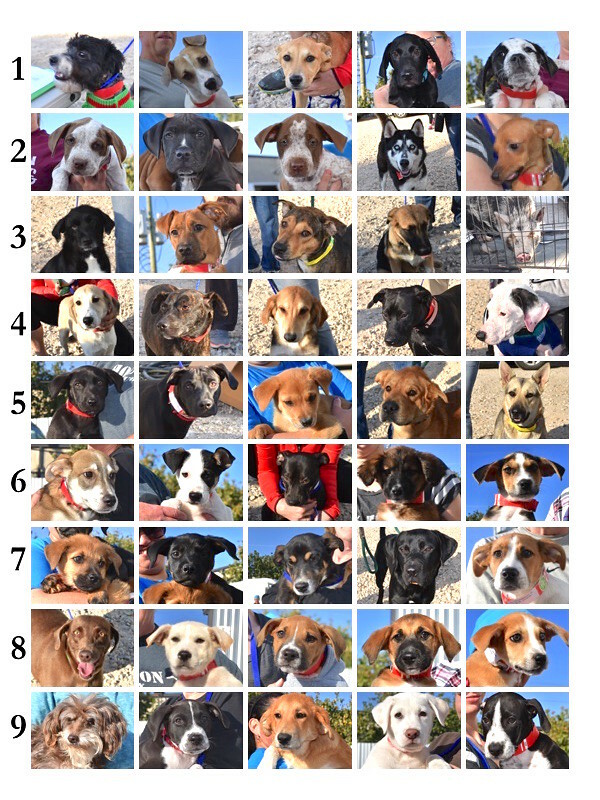 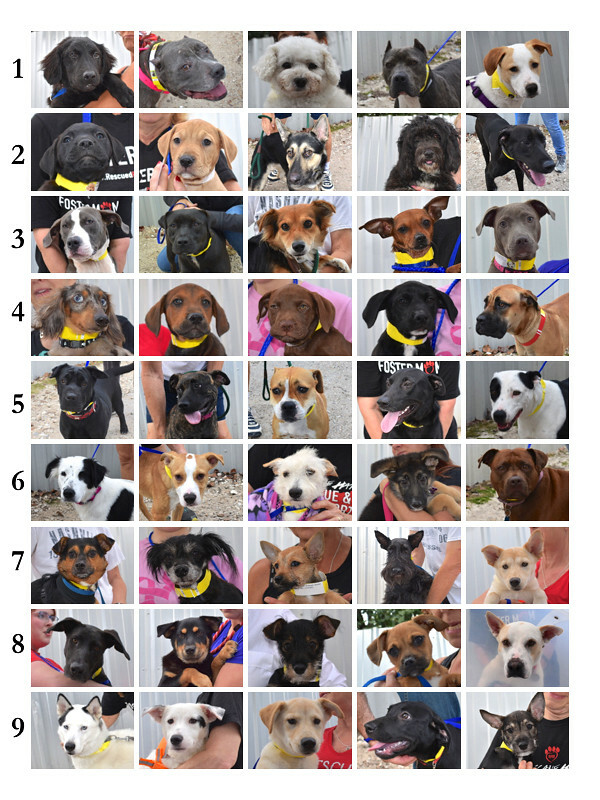 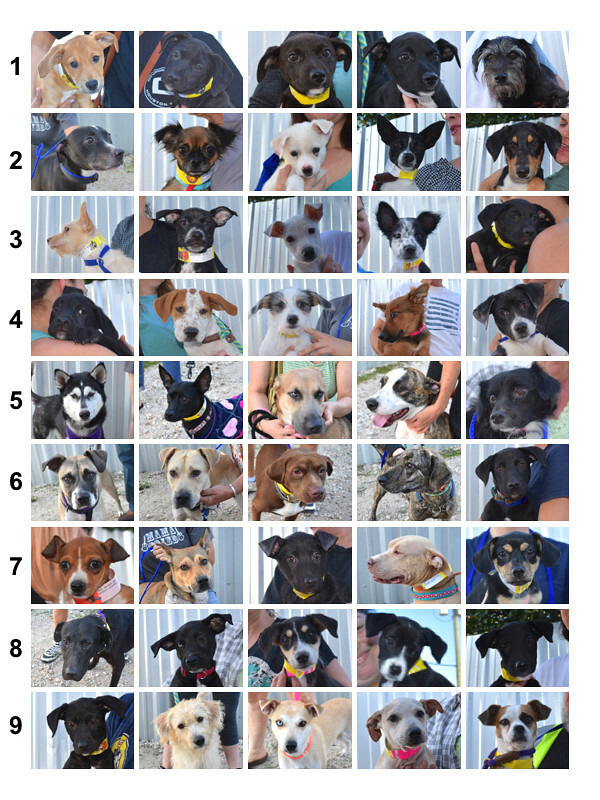 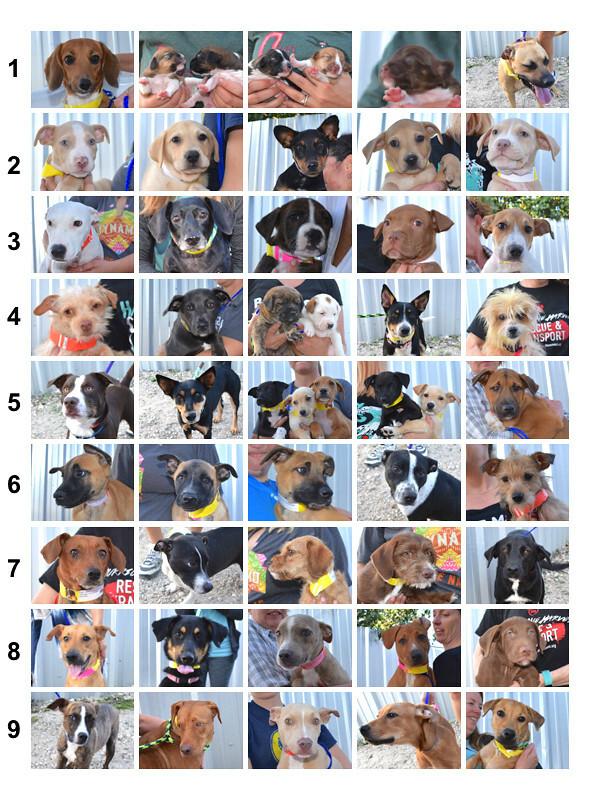 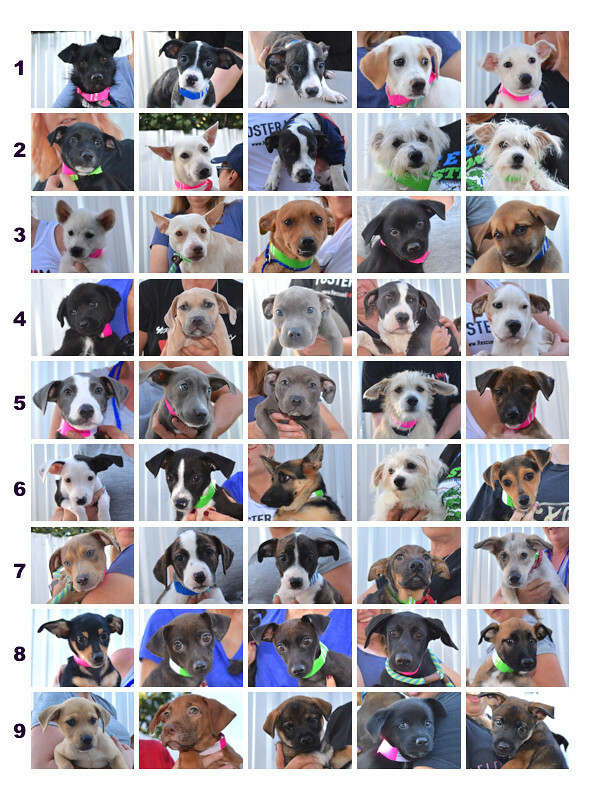 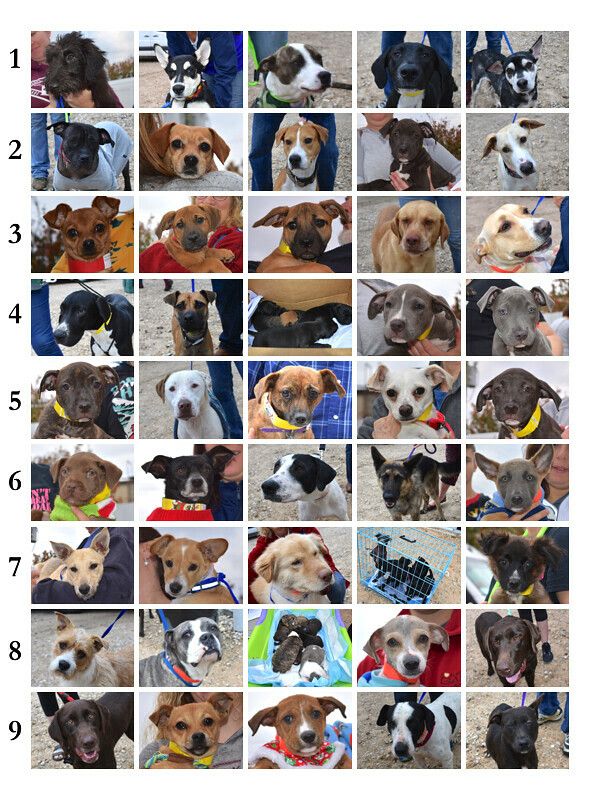 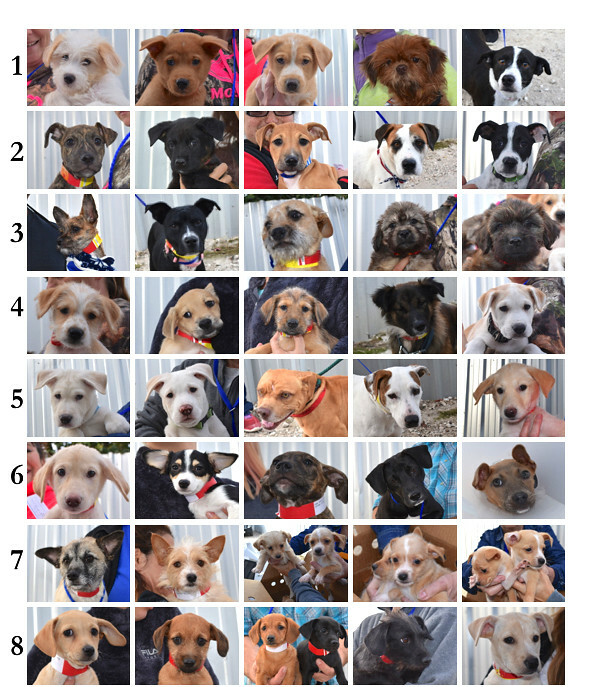 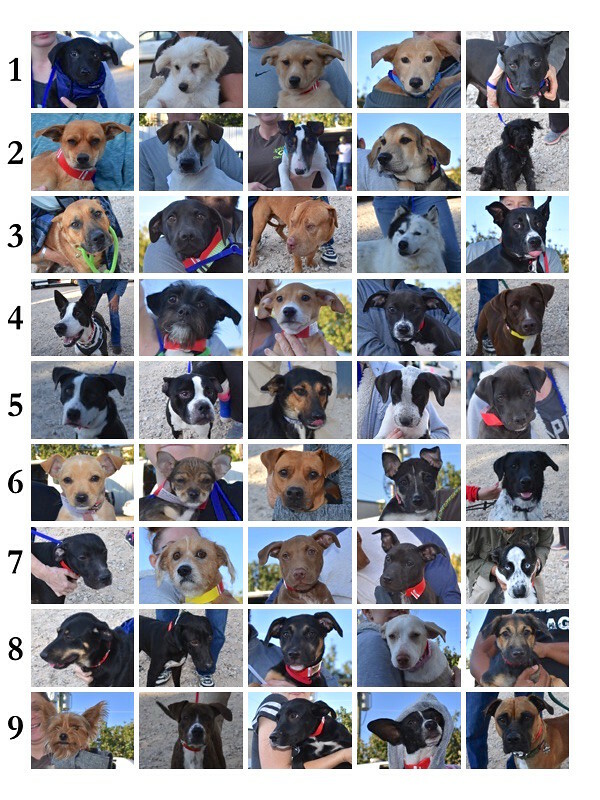 who have left for their forever homes. 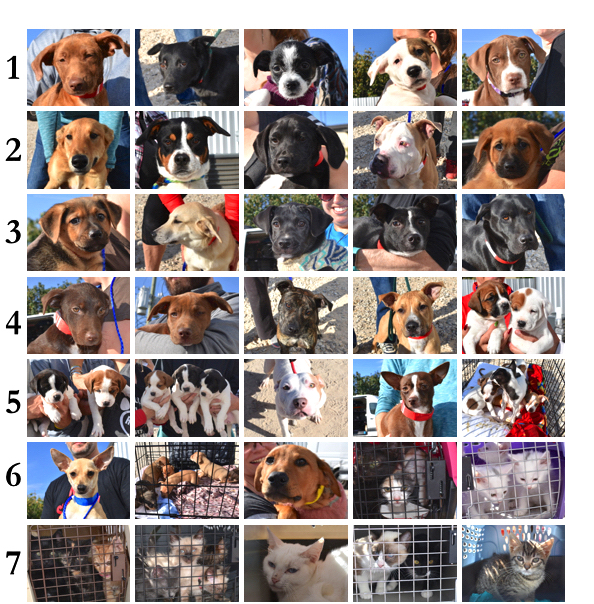 All the animals from the last quarter of 2017–October, November, and December–are featured in this post by month. 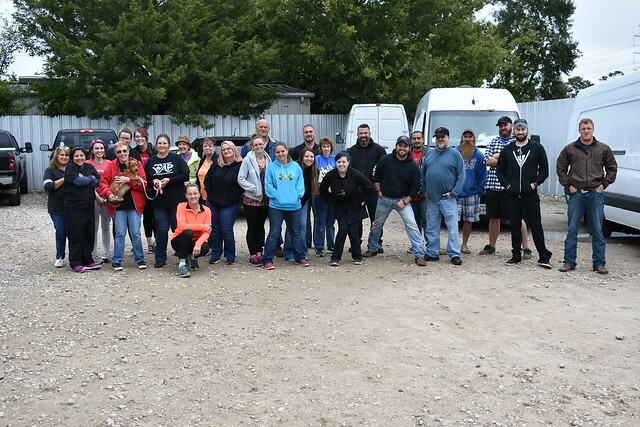 The first week of October, these were our lucky travelers. 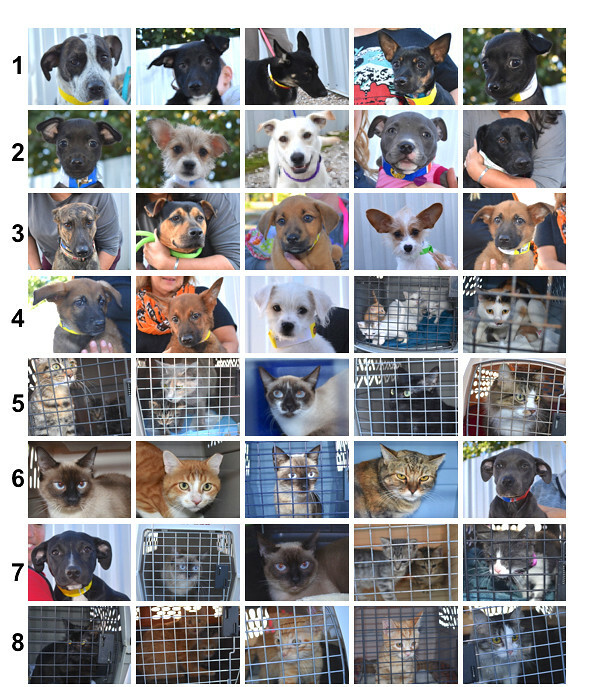 These are the dogs and cats who left on the second transport of October. 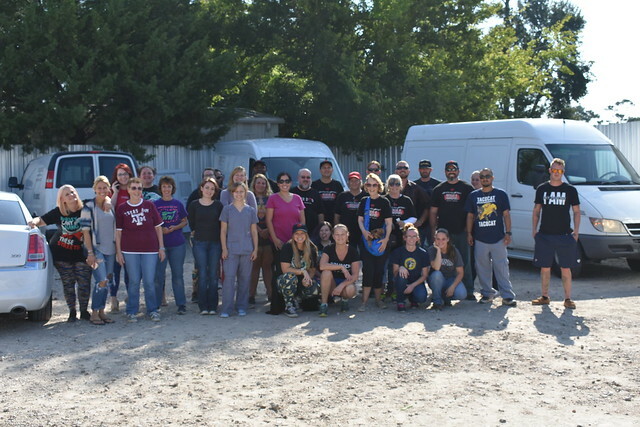 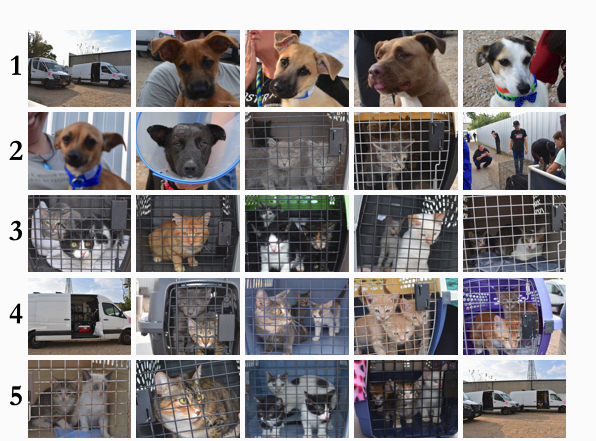 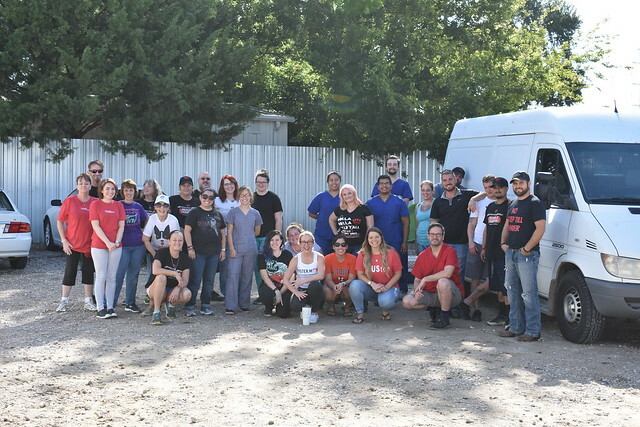 The next week, these great looking dogs and cats boarded the vans for their forever homes! 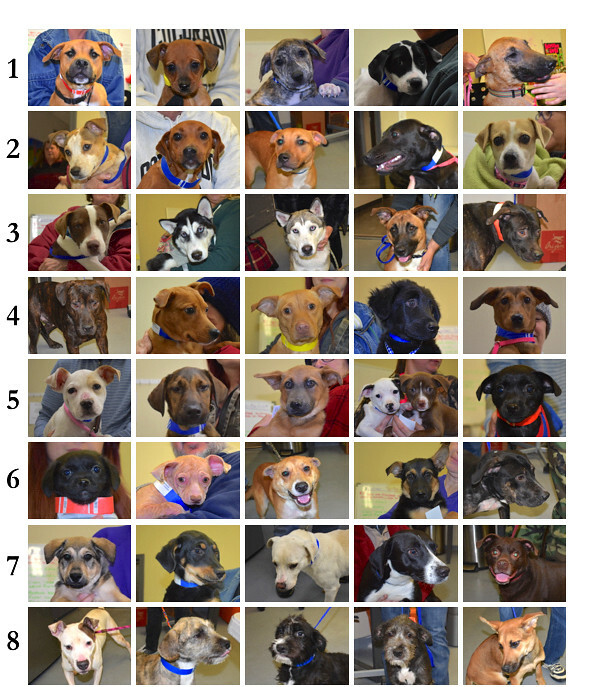 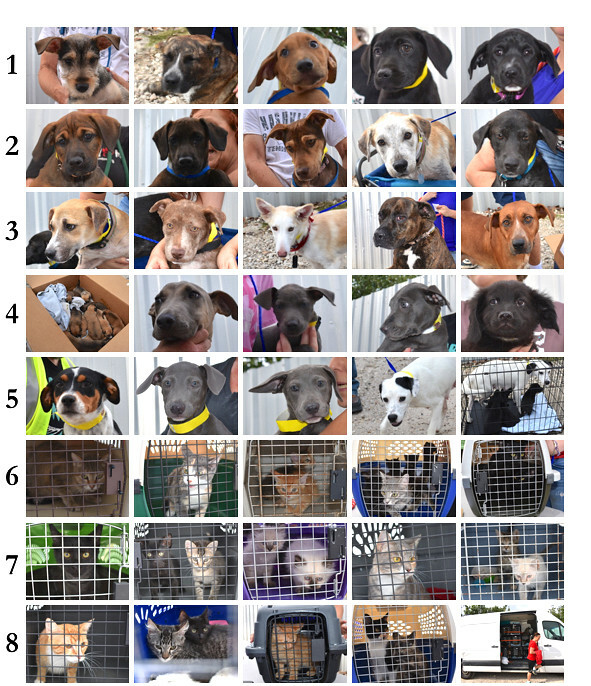 These are the dogs and cats who traveled the last week of October. 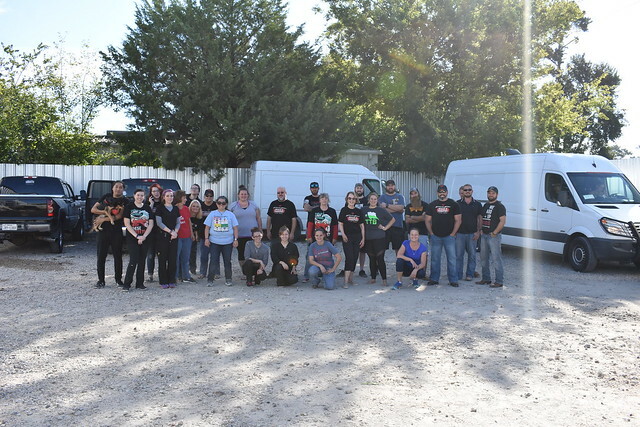 November provided beautiful weather for our first transport of the month. 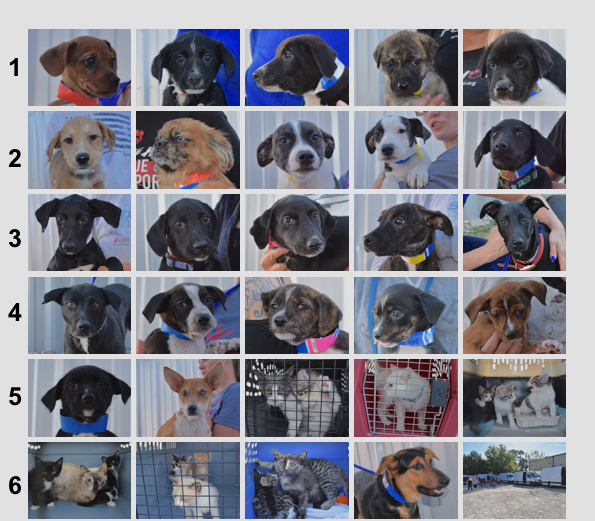 These dogs caught their ride on a van to Chicago with one of our rescue partners. 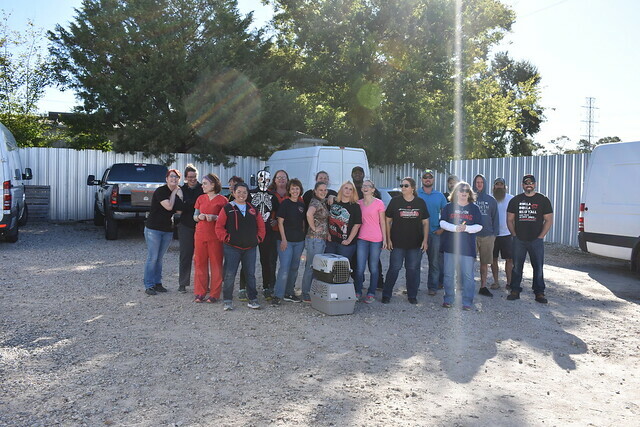 These were the rest of our lucky travelers that day. 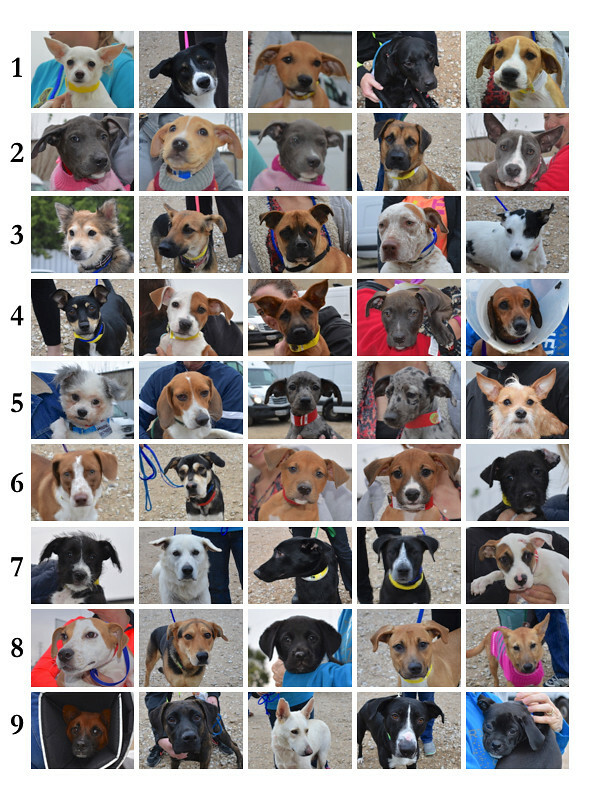 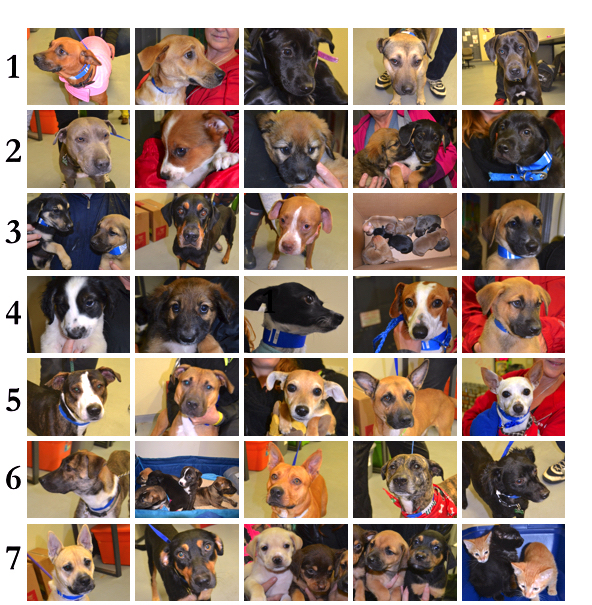 Here are the pets who traveled on the second transport of November. 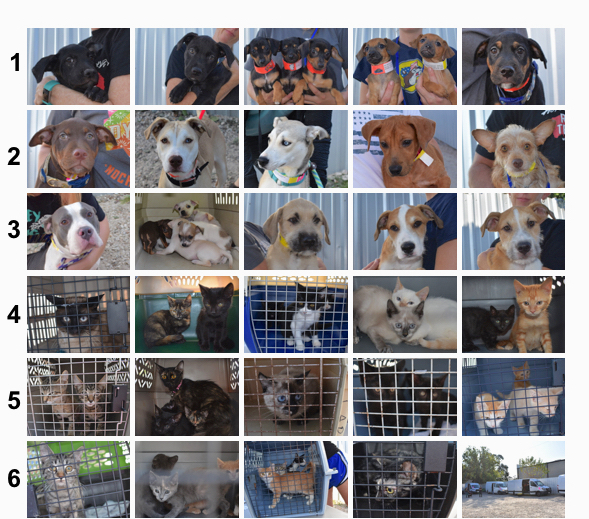 These dogs and cats went to Colorado on the third transport of November. 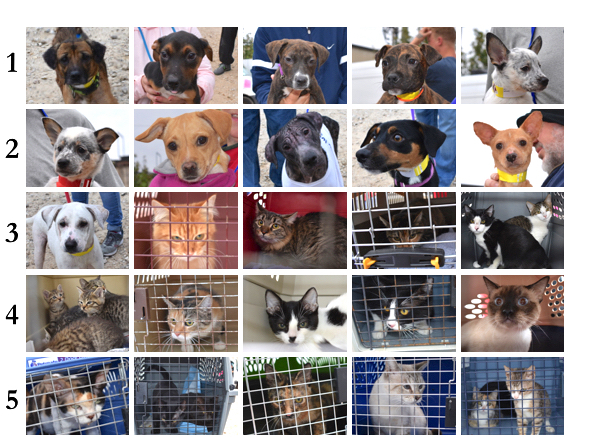 These lucky dogs and cats traveled in time to have their Thanksgiving dinners in Colorado. 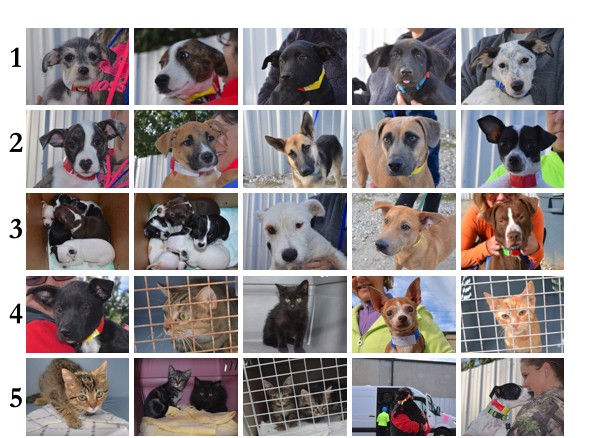 Our last transport of November was a big one, with lots of dogs and cats riding into their futures. 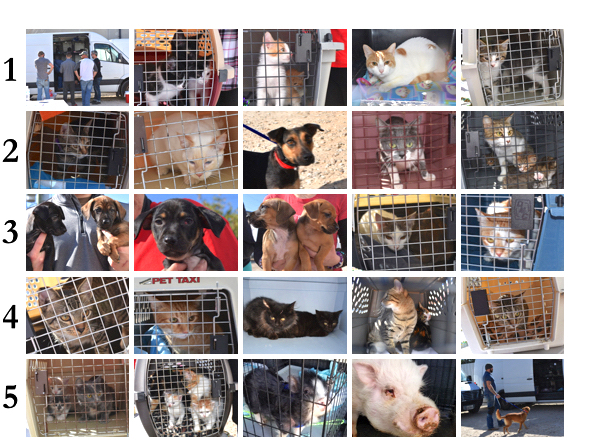 And the three “little” pigs caught a ride to new homes, too! 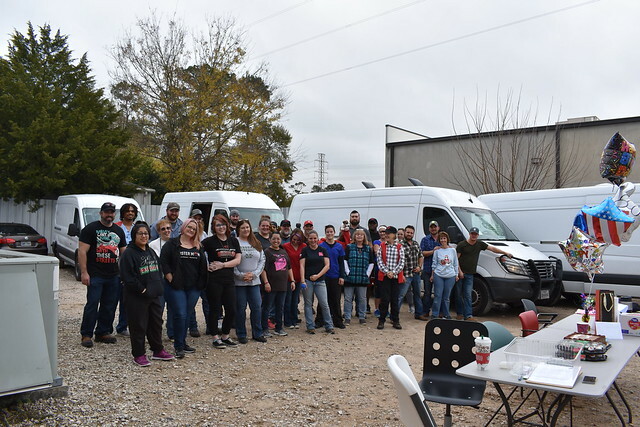 Then it was December! 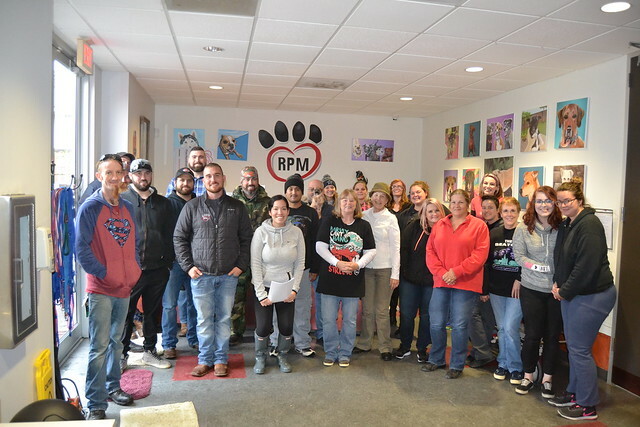 It was a rainy day, but we kept these dogs and cats warm and dry as they were loaded on the first transport of the month. 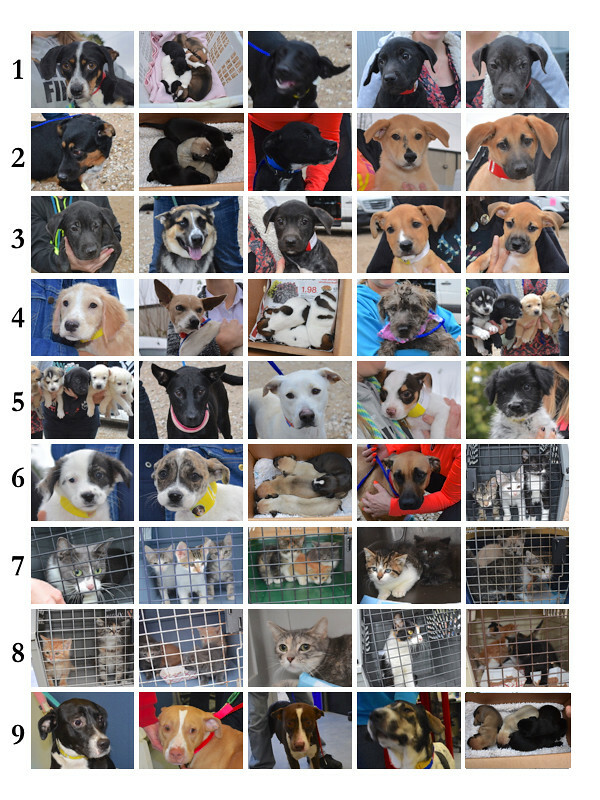 These are the dogs and cats who transported the second week of December. 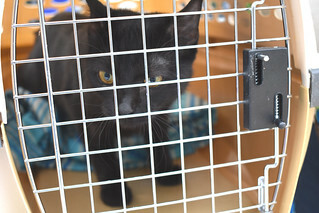 Jupiter also caught his ride to Colorado! 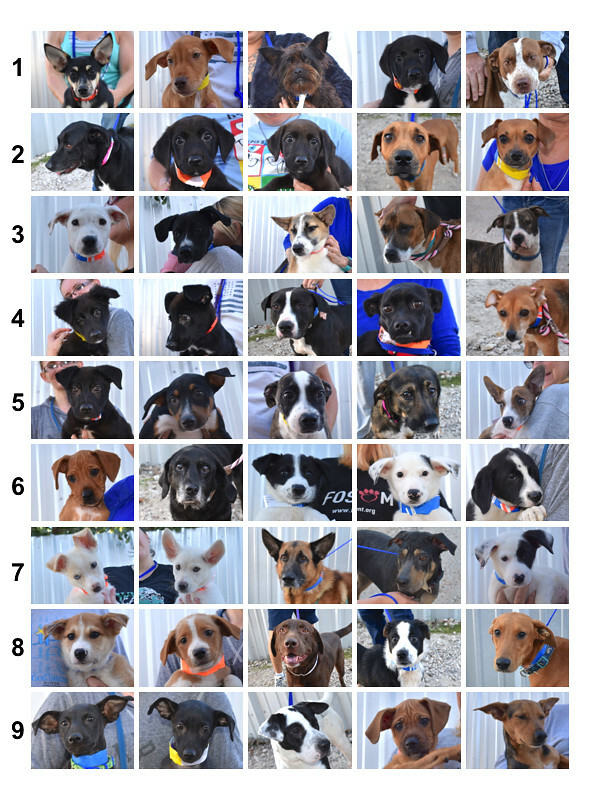 Christmas came early for these dogs and cats who traveed toward their forever homes on the third transport of December. 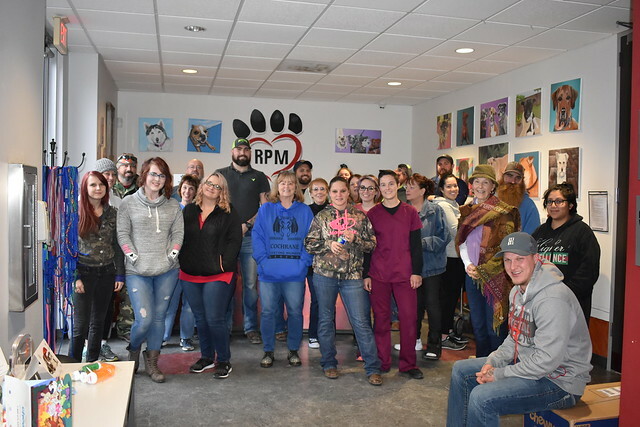 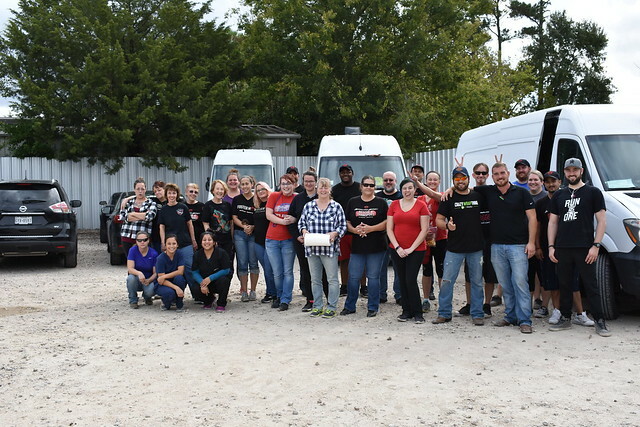 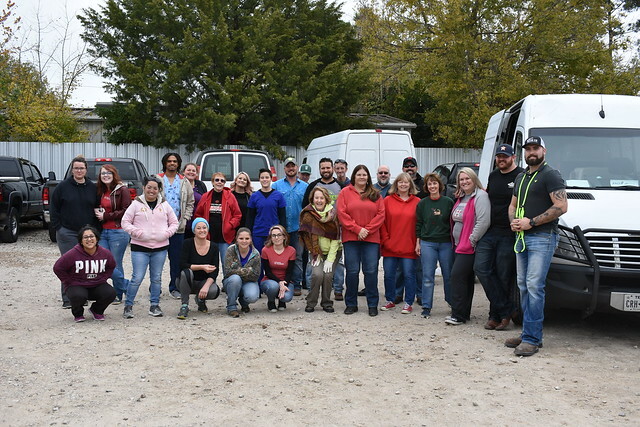 These are the dogs and cats whose journey finished December and a great fourth quarter for RPM. 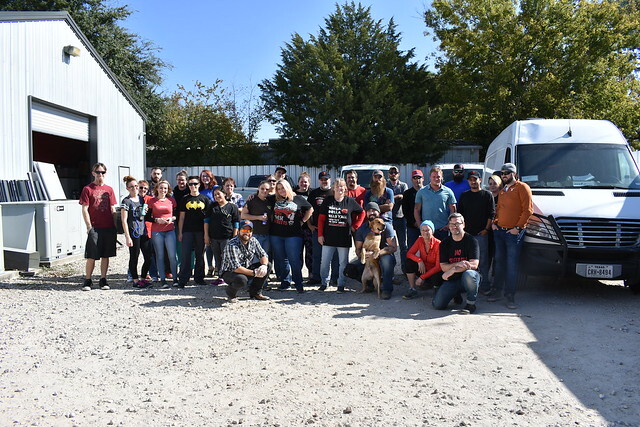 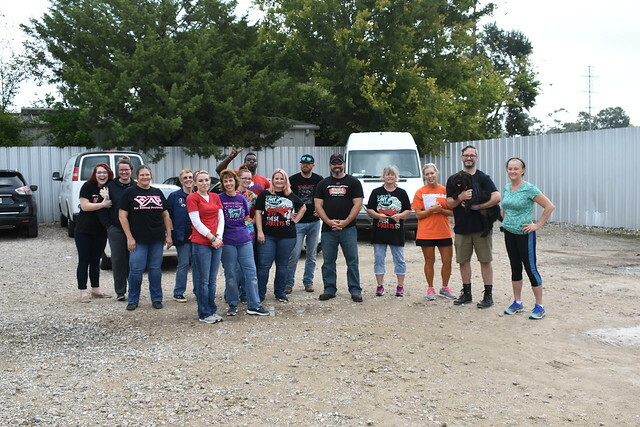 These are some of the people who helped organize the transports for the entire last quarter. 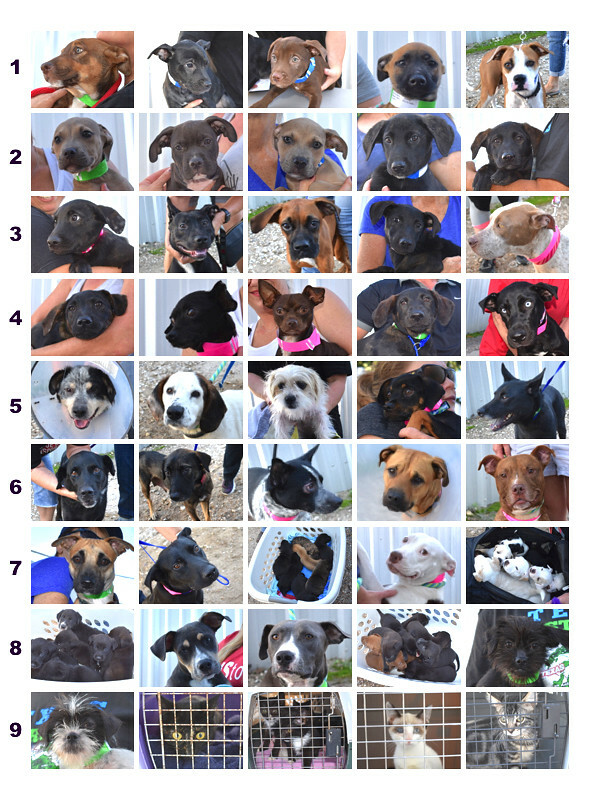 They couldn’t do it without our donors, fosters, transporters, volunteers, and shelter and medical partners. 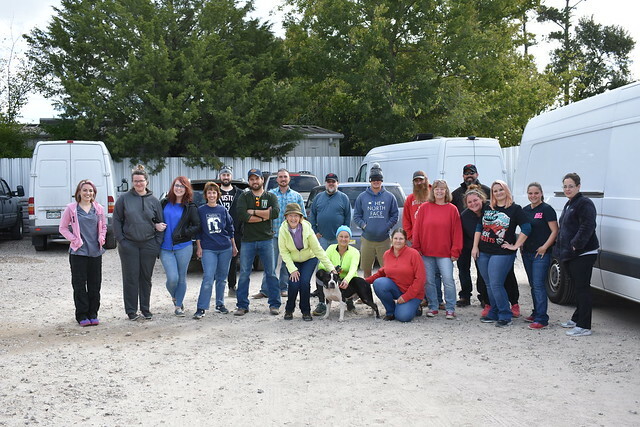 Thank you, everyone!